No, I was not asked to initiate ECMO on an emergency department patient. My chief asked me if I would be willing to produce a ten day long summer camp for high school students interested in emergency medicine. It was a novel idea for us and something that had not been attempted on our campus. There really was no precedent and so I, along with my co-director, would have to create all the curriculum de novo. Along with creating the educational curriculum, we would have to learn about negotiating contracts (hello bureaucracy), risk management issues, large group logistics and more. All things I had never been exposed to before. There were plenty of roadblocks and at many times, I thought it would not get done. But we persevered and somehow documents were signed, pig’s feet were ordered, and STUDENTS SIGNED UP! 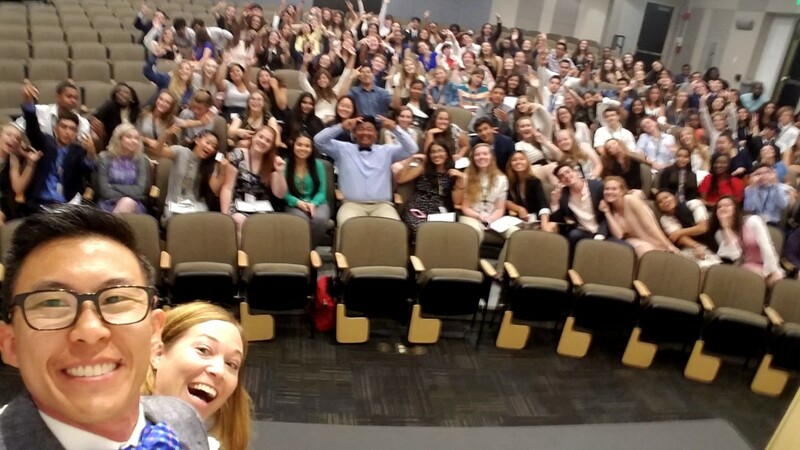 So it came to be that 160 high school students descended upon our campus in the summer of 2017 for our first Advanced Emergency Medicine course. Why do this inflict such a pestilence upon ourselves you ask? One of our goals was to increase interest in medicine in general. With so many of our youth enticed by the seemingly easy money of the tech sector, we felt that it was time for a program specifically designed to increase awareness of medicine. Even more specifically, we had a desire to increase interest and knowledge about emergency medicine. In a pretest survey, 56% of the students expressed that they had only a moderate interest or less in emergency medicine as a specialty. After the course 80% stated that they now had interest in emergency medicine. The ten days were not spent singing kumbaya around a campfire. Students entered our anatomy lab, sutured pig’s feet, ran disaster drills, learned how to apply tourniquets, and went through many medical school level modules. It was also important for them to return home with practical knowledge and all received their Basic Life Support certification at the end of the course. We also had a desire to effect change locally and have an impact on underserved children in the San Francisco Bay area. To that end, we were able to sponsor ten students from the region, who would not otherwise been able to attend. The quote at the top of this article is from one of these students and truly with just her words, I would do it all over again. Though we belly ached through the process and at times we questioned our cause, in the end I cannot imagine a more rewarding experience. The students were engaged, interested and eager to learn. They were magnitudes smarter than I imagined. I am honored I was able to affect these future physicians and cannot wait for next summer. Good to know that you are able to share your experience here. The best thing about it is that you make everyone aware also of the fact that being prepared means you are just being ready for whatever kind of emergencies that may come your way.